Are you making the switch from traditional lighting to LED lighting? Are you considering having this work done to the exterior of your office building or store, too? Are you having trouble deciding which LED manufacturer to buy from? LED lighting has replaced many of the traditional lamps and fixtures over the past several years. LEDs are more efficient and better for the environment, making them a great option for office buildings. In addition, well-designed outdoor lighting can make a property more attractive and inviting and enhances customers’ and employees’ comfort and security. Maintenance – LED technology is made to last 20-25 times longer than traditional lighting. So while LED lights may cost more upfront, they last much longer than traditional lamps and you’ll pay much less in upkeep. 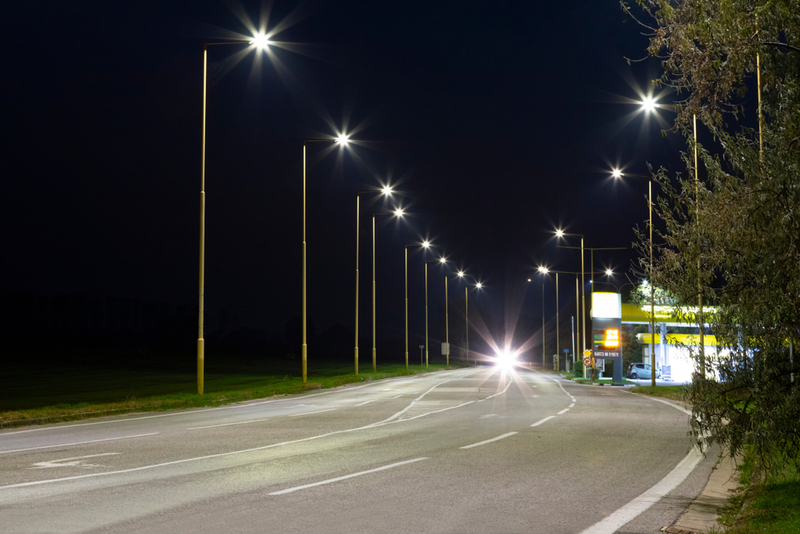 Safety – LEDs provide much better illumination than traditional lamps with less light, so exterior areas like parking lots and alley will be safer for employees and patrons. Good Neighbor – Is your building in a residential neighborhood? With LED lights, only specific areas are lit so you don’t out-shine the neighborhood with too-bright lights. “For small businesses looking to save money and become more competitive in today’s market, operating costs are the one line item that owners have the most control over. Investing in efficiency measures, especially lighting, can make the biggest impact on a business’ bottom line,” says Lime Energy. If you need help learning more about how to use LED lighting for your application, or are overwhelmed by the sheer volume of products available, call us today! Our team is full of experts who are ready to help you.